A great gift idea for Mom, Grandma, or any important woman in your life. Each piece is customizable... The large rectangle charm can represent the initial of the last name or a grandmother's first initial. The small round charms represent the father, mother and children (in birth order)... or they can represent the grandchildren. Please contact me to create one of these for you. If you choose the photo charm, you will need to email me a very high quality image. It takes about 2 weeks for delivery. Do you have a family momento that you would like to pass down or are you looking for something extra personal for a special someone? I can create it for you. All custom pieces are priced accordingly... depending on time required and items used in the piece. Please contact me if you are interested. If you are not local, we will arrange for delivery of any items you wish to be included in your piece. In general, I will require at least 2 weeks for delivery. This piece is filled with sand from a special place. Are you looking for a special way to memorialize a family member or pet that has passed away? I can create something special for you. 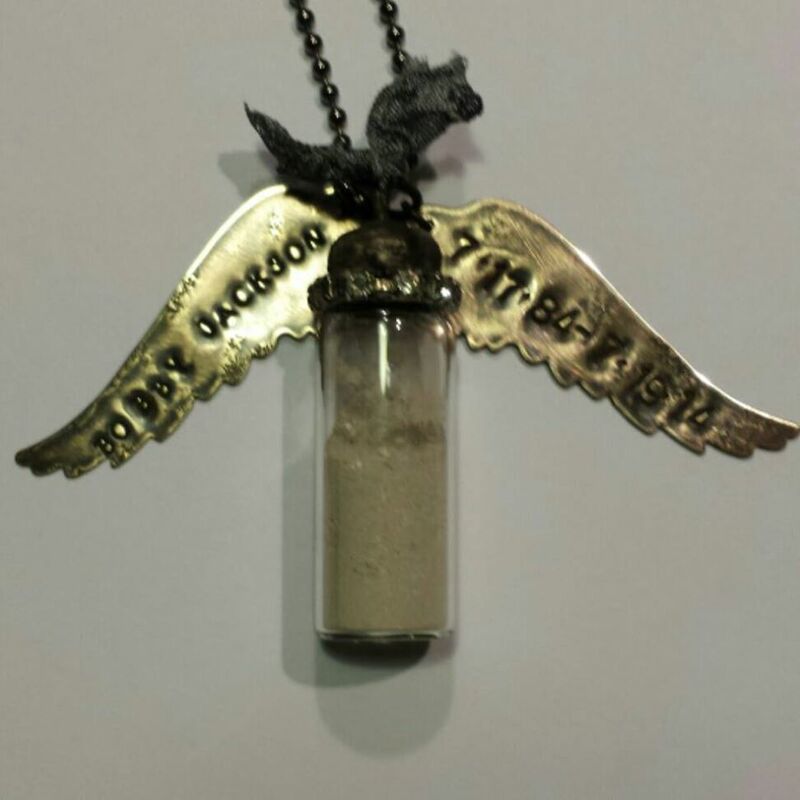 This vintage vaccine bottle is filled with a son's ashes.